You are an Apple fan and want to know about all Apple products? Then one app is essential: Mactracker. 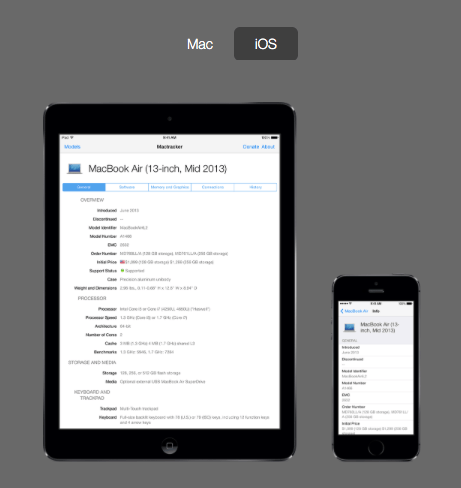 The app is available in an iOS version for on the go and as an application for the Mac (which is a bit more practical because you can open several detail pages to compare). The Mactracker team has gathered, categorized and sorted all the products ever made by Apple. Must have app for Apple fans. For each device you get the launch date, technical data, variant of the operating system that came with the device and the maximum possible (without Mojave Patcher) as well as folder numbers, existing ports, maximum graphic resolutions, etc. Of course also used CPU generation are listed and even the advertising slogan used at that time for marketing. 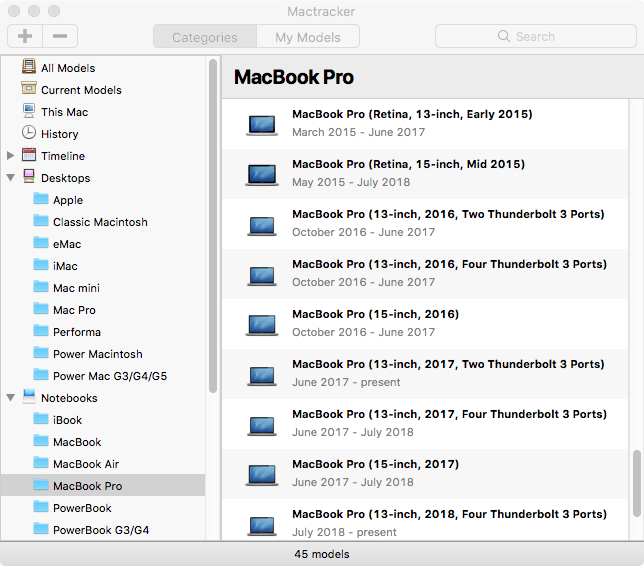 Mactracker is the Swiss Army Knife when it comes to Apple products if you have to quickly look up a technical detail. If you have nothing to do right now, it is an interesting pastime to see how far Apple and technical progress have come over the years.